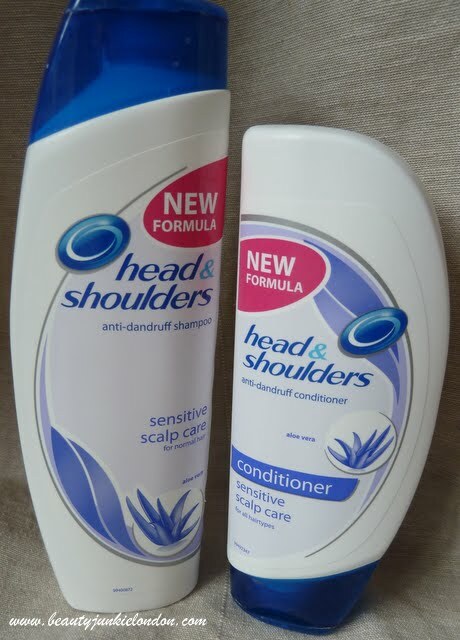 I feel a little silly for how I feel about the Head & Shoulders products – having reviewed a couple of high end products recently (Shan Rahimkhan and Unite) it feels a bit odd that I’m about to rave about products that you can find in the supermarket for a few quid. But that’s just how I roll when it comes to blogging, I like what I like. I’ve mentioned that I have a sensitive scalp, that can be a bit fussy – even when I use products are sulphate free, organic and all of other supposedly scalp-friendly claims I have found they still irritate my scalp. But these don’t, and that’s why I love them. Simple as that. Using these in combination leaves my scalp happy and my hair clean and soft – it feels surprisingly sleek and silky after use. I say this because I’ve used H&S products before that have left my hair feeling stripped/dry – but these definitely don’t. I do however tend to alternate the conditioner at times to keep my hair extra pampered and use ones that are a bit lighter to add some volume. So there we have it, it might not be the most glamorous of Shampoo/Conditioners – but it does the job of keeping my hair soft whilst stopping my scalp from being angry. So I’m happy and will continue to keep these as a staple in my hair care routine. If you have a grumpy scalp like me, then recommend giving these a go. I have a grumpy scalp too – but I’ve always known H&S as a hair stripper – does it not do that any more? Hi Alice, I know what you mean – H&S definitely has a bit of a reputation for that but this version definitely doesn’t. I have coloured hair (highlights) too and it’s made it softer if anything! Def. depends on the version you use though as have tried others that have left my hair feeling dry. Today I’ve used H and S for the first time in about a decade. I bought the itchy scalp one out of desperation and Oh.My.God it was amazing. Immediately, my scalp is not so itchy but the really unexpected bonus is my hair is really soft and silky. I am converted!